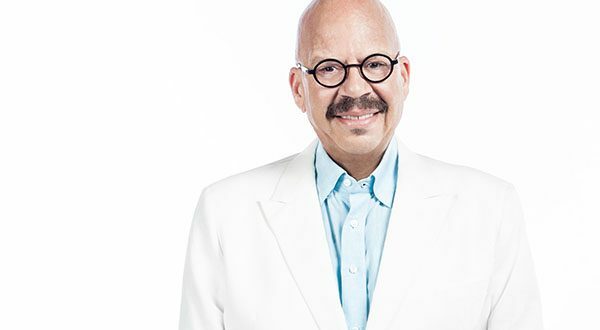 Morgan State University President David Wilson has announced that philanthropist, community activist and renowned national radio show host Tom Joyner will deliver the keynote address during the University’s 142nd Spring Commencement. 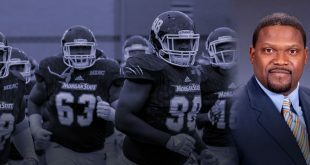 The exercises will take place on Saturday, May 19, 2018, beginning at 9:30 a.m., at Hughes Stadium, on Morgan’s campus. 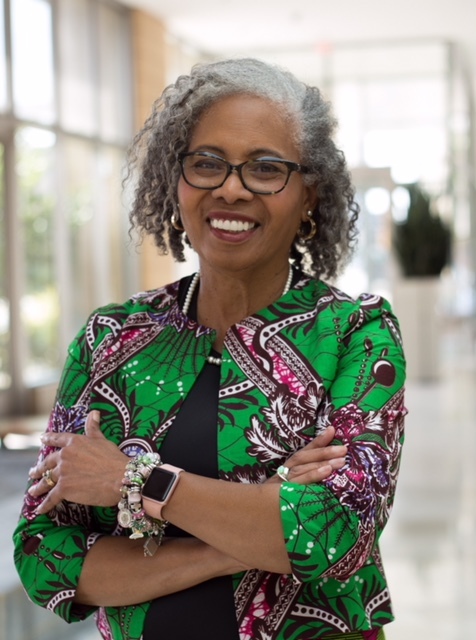 In addition to addressing the nearly 1,000 degree candidates, Joyner will join two other distinguished citizens in receiving an honorary degree: veteran filmmaker and former Morgan professor Stanley Nelson, and Gloria Ladson-Billings, Ph.D., a university professor emerita and president of the National Academy of Education. 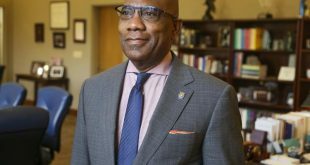 “We are very excited to have Tom Joyner, one of the biggest supporters of Historically Black Colleges and Universities (HBCUs) and their mission, join us on such an auspicious and joyful occasion,” said Dr. Wilson. “Morgan has enjoyed a longtime relationship with Mr. Joyner by way of our involvement with the Tom Joyner Foundation. Having him come to our campus as the Spring Commencement speaker adds yet another layer to that ongoing relationship. “His message — how he used the education he received at an HBCU to prepare and propel him into becoming the successful ‘hardest working man in radio’ — should resonate with our students, inspiring them to go out into the world to accomplish great things,” Dr. Wilson added. Known to millions of listeners nationwide as “The Fly Jock,” Tom Joyner began his broadcast career in 1970 immediately after his graduation from Tuskegee Institute, an HBCU, where earned a bachelor’s degree in sociology. Joyner, a native of Tuskegee, Ala., worked his way up through radio in Alabama, Tennessee, Missouri and Texas before eventually parlaying his distinct humor and energy in urban radio to land a high-profile radio position in Chicago. In 1994, entertainment powerhouse ABC Radio Networks convinced Joyner to take his captivating style of radio nationwide, thus successfully launching “The Tom Joyner Morning Show” into national syndication. Over the years, Joyner has taken his radio program to unexpected heights, using his influence to inspire and activate listeners daily while catering specifically to African-American audiences. 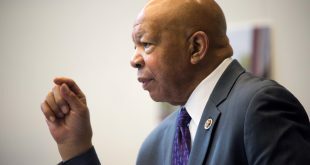 Well-known for his dedicated philanthropy and community activism, Joyner has led successful national awareness campaigns on voter registration laws, family/health initiatives and equitable treatment of minorities. Never one to forget his roots, he created The Tom Joyner Foundation to help retain students in HBCUs. Since its inception, the foundation has raised more than $60 million. Joyner has received numerous accolades and awards during his distinguished career, among them a Radio Hall of Fame award, an NAACP Image Award, Impact Magazine’s “Joe Loris Award” for Excellence in Broadcasting and Billboard’s Best Urban Contemporary Air Personality award. Other honors include the BET Humanitarian Award, the Denny’s Community Impact Award, the Septima P. Clark Excellence in Black Education Award and Impact Magazine’s “Best DJ of the Year Award,” which was renamed “The Tom Joyner Award” because he had received it so many times. 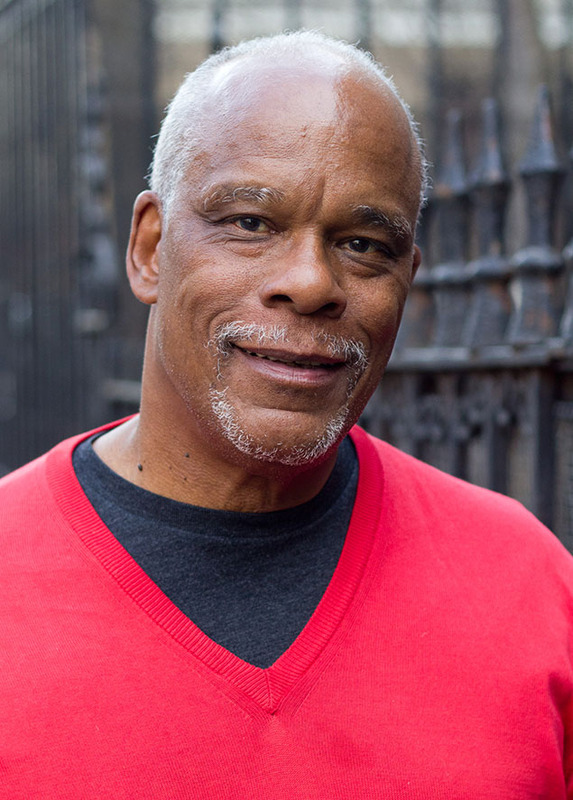 Stanley Nelson has been acknowledged as one of the preeminent documentary filmmakers of our time. He has directed and produced more than 12 documentary features, including: “Black Panthers: Vanguard of the Revolution”; “Freedom Summer, Freedom Riders”; “Jonestown: The Life and Death of People’s Temple”; and “The Murder of Emmett Till.” Nelson’s latest film, “Tell Them We Are Rising: The Story of Black Colleges and Universities,” which features Morgan and an interview with President Wilson, premiered at the 2017 Sundance Film Festival to critical acclaim. Nelson has won many major awards in broadcasting, including a Lifetime Peabody Award, a Lifetime Emmy Award and a Lifetime Achievement Award from the International Documentary Association. He is a 2014 National Humanities Medalist, multiple Emmy Award winner, MacArthur “Genius” Fellow and member of the Academy of Motion Picture Arts and Sciences. Nelson, a former professor of film in Morgan’s College of Liberal Arts, is also co-founder of Firelight Media, a nonprofit production company dedicated to using historical film to advance contemporary social justice causes and to mentoring, inspiring and training a new generation of diverse young filmmakers committed to advancing stories of underrepresented people. 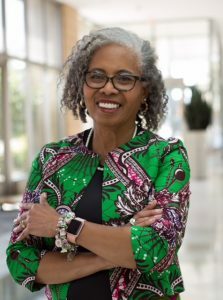 Morgan alumna Dr. Gloria Ladson-Billings is an award-winning professor emerita and former Kellner Family distinguished professor of urban education in the Department of Curriculum and Instruction at the University of Wisconsin-Madison, and a former faculty affiliate in the university’s Departments of Educational Policy Studies, Educational Leadership & Policy Analysis and Afro American Studies. She is also the current president of the National Academy of Education (NEA) and one of the NEA Foundation Fellows charged with providing advice on its “Achievement Gap Initiative.” Ladson-Billings’ research examines the pedagogical practices of teachers who are successful with African-American students and also investigates Critical Race Theory applications to education. She is the author of a number of critically acclaimed books and more than 100 journal articles, and has an active community life that includes serving on several community boards. A member of Morgan’s class of 1968, Ladson-Billings earned her Bachelor of Science in Elementary Education. Nearly 1,000 candidates are expected to receive bachelor’s, master’s or doctoral degrees during the commencement ceremony. 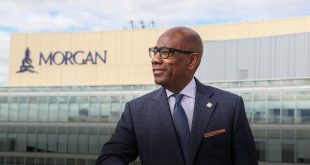 Morgan has awarded more than 50,000 academic degrees during its storied, 151-year history, propelling it to become the top-ranking university in Maryland in awarding degrees to African Americans.